Bikramganj is a city and a notified area of Rohtas district, Bihar, India. 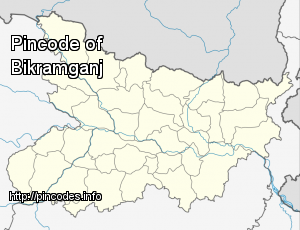 Bikramganj is located at 25.2°N 84.25°E﻿ / 25.2; 84.25. It has an average elevation of 77�metres (252�feet). As of 2001 India census, Bikramganj had a population of 132765. Males constitute 53% of the population and females 47%. Their bodies were recovered by villagers on Wednesday morning, a district police officer said. The RJD on Sunday took a dig at the Nitish Kumar government for banning liquor in state and said there was no guarantee that the prohibition would prevent hooch tragedies such as the one that claimed four lives in Rohtas yesterday.